The startup process of any system is a very interesting stage. Ever since I was exposed to the world of computers, I was fascinated with the POST (Power On Self Test) sequence, about which I learnt and explored in detail when I studied Electronics & Communications engineering. SQL Server is a server system on it’s own and therefore, I recently had a yearning for learning about the SQL Server startup sequence. 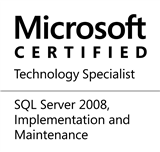 When the SQL Server starts, what is the first database that is made online? When are user databases made available in the startup sequence? When is the tempdb available? In order to answer these questions, I postulated a theory and then tried to collaborate it with practice. The entire experience is documented in this post. The one database that is not listed in the results of this DMV is the resource database. Going by original hypothesis, the master should be started up first, followed by the resource, tempdb, model, msdb and so on. Contradicting my thought process mentioned above were some of my pervious observations around tempdb. It is a confirmed point thing that the model database has to be online before the tempdb is made available. The above contradiction led me to hypothesize that the startup sequence would be similar to master –> resource->msdb –> model –> tempdb –> ReportServer –> ReportServerTempDB –> user databases. It was now time to confirm this line of thought. We need to read the current file in the SQL Server Error Log, and only need to search for one string – “Starting up”. The call would therefore be similar to the one shown below, where I have captured the results into a table variable which allows us to sort by the log time. The above is a very interesting result and tells me that I was not very wrong in my hypothesis. Here’s the interpretation of the log content. The recovery interval (i.e. when the recovery for any database completes) depends on a number of factors and can be studied at: Understanding Recovery Performance in SQL Server. I learnt something new today, which is always fun. This topic is by no means complete. There is a lot more to explore, so, if you have any related observations/questions, please do share them via the blog comments, or send them on my Twitter handle (@nakulv_sql). This entry was posted in #SQLServer, Blog, Imported from BeyondRelational and tagged #SQLServer on November 5, 2012 by nakulvachhrajani. Thanks for the great information about the system databases.